Biggest Lingcod so far this year! The Hula Girl checked in this afternoon from Westport Charters in Westport, WA. 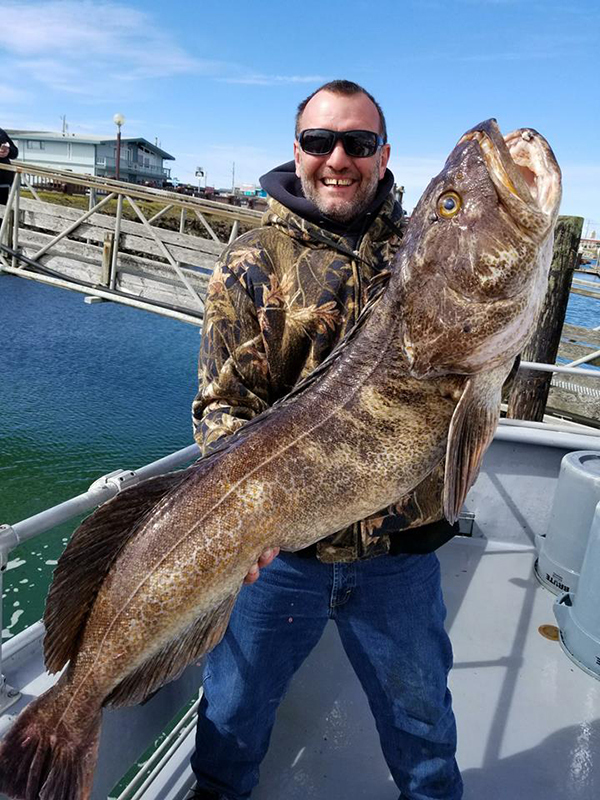 We had some great fishing today that produced the leader for the Lingcod in 2018. 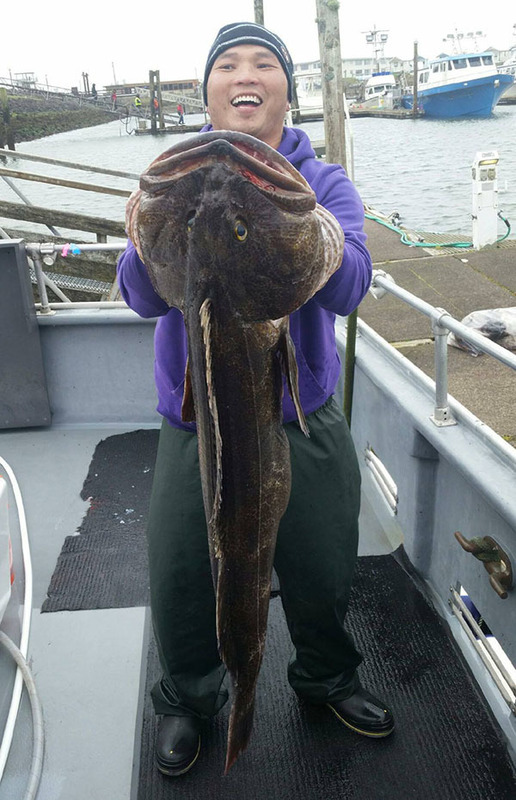 We had 19 anglers catch 38 Lingcod (up to 43 pounds), 118 Black Rockfish and 15 Canaries! To top it off we had this beautiful 43 pound Lingcod that is atop the Leader Board. 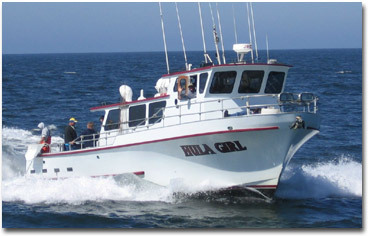 If you would like to join us on the Hula Girl please call Westport Charters at (360) 268-0900 and book your spot.